Xennia launches advanced digital textile ink for polyamide printing. Xennia ApparelXennia Technology has launched a full range of digital textile inks for production printing of silk and polyamide fabrics including nylon and lycra/elastane/spandex. The company is billing the new product, Xennia Agate(TM), offering excellent colour and performance combined with production reliability. 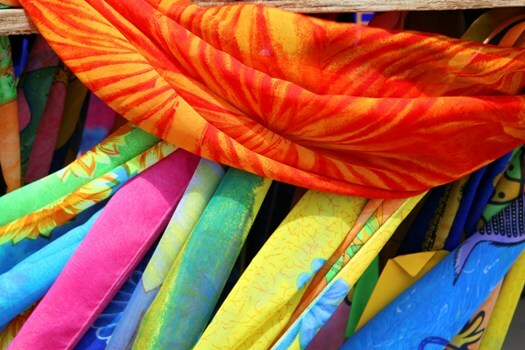 The Xennia Agate(TM) range of digital textile inkjet inks is designed for high quality polyamide fabric printing, aimed at sports, swimwear and intimate apparel applications. Xennia Agate(TM) is available for high speed production digital textile printing systems based on Kyocera KJ4B printheads. "Xennia Agate(TM) is a high performance ink designed for polyamide textile decoration," commented Dr Olivier Morel, Xennia's Chief Technology Officer, "which uses specifically tailored dye chemistry to give customers excellent colour vibrancy and fastness performance, while maintaining the high production reliability that customers expect from a Xennia product. After testing in their mill, one customer in South America described the results as 'absurdly better' than those from their previous ink supplier, showing the real benefits from choosing Xennia ink." Dr Tim Phillips, Marketing Manager, added: "While smaller than the cellulosic’s market, the silk and polyamide markets are important ones with stringent quality requirements, which makes them ideal for Xennia. Adding Xennia Agate(TM) to our expanding range allows us to help a wider audience of customers looking for high quality digital textile ink products." Xennia is a leading supplier to the digital textiles industry and its ink products have been used in major textile mills worldwide for several years. The company’s digital textile inks have been developed to enable printers to add value for their customers by creating high colour fabric prints with minimised materials, energy and water usage. Xennia's digital textile ink range includes Xennia Amethyst(TM) reactive dye ink for printing cotton and cellulosics, Xennia Corundum(TM) sublimation ink for polyester and Xennia Moissanite(TM) UV curable ink for outdoor textile printing.